Yesterday morning on 28 June, 5 Rohingya women from Aungmingala quarter who went to the market of Sittwe to buy foods after starved for two weeks, were brutally beaten by a group of Rakhine people and handed over to No(1) Police station by giving false statement. After police saw they were seriously injured, all five women were sent to hospital. One of them, sister of Soe Raza was died a hour later and the condition of the rest are still unknown. It is also confirmed that the hospital staffs who are also Rakhines did treat them roughly because of muslim. We are getting reports from Sittwe that the relief aids are delivering to Rakhine alone and homeless Rohingya people still face stavation and lack of medicine. Some Rohingyans were loaded to trucks and shifting to unknown locations. the source also confirmed that some water tanks in Rohingya areas were found poisoned. 29 June: A villager, Mr Hashim living in Australia confirmed the villagers are not yet returned to thier houses since some of their 21 houses in Tan Rwa village were burnt down and they dispersed into hiding from 10 June. The below is shortly translation of it. "Party's declaration after conflict relating to relocation"
04/2012, on 26 June 2012. 1) The riot occurred from 8 June causes to face intensive difficulty for national affairs. 2) This difficulties are in need to solve by the gov and corporately with public. 3) While Bengali immigrants had been settled into Rakhine state in continuity periods through various ways, present population of Bengali causes threat for the whole Rakhine people and other ethnic people based on current occasion. 4) The historic remark of riot between Myanmar national and Bengali in 1942 later, there were several riots recurred in Rakhine state. We get known that this occasion in 2012 is much affected Rakhine people and the whole Myanmar economy rather than occasions in 1988, 1996, 2000. 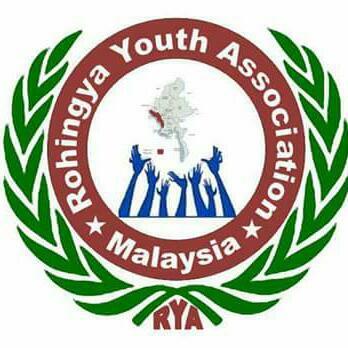 5) Illegally settled Bengali are creating new name 'Rohingya' with fabricating history that propaganda of terrorising, are damaging the Rakhine people and national sovereignty. Our party view that it is require to solve by taking out of complete solution for Rakhine people' safety and security for lives and property. 2) To temporarily relocate Bengali people to suitable places, in order not to reside mixxedly and closely the Rakhine and Bengali in Rakhine state territorial towns and villages. 3) All union of ethnic people to corporate to prevent the Bengali people' trespassing and entering in various ways into the whole Myanmar including Rakhine state. 4) To transferred to relocate the non-Myanmar national Bengali to the third countries, by getting negotiation from UN and international.